Klang Parade in operation since 1994, is an iconic mall located in the royal town of Selangor, the newly refurnished shopping complex celebrated their grand launch to provide shoppers the new retail experience with more offerings for value and convenience. 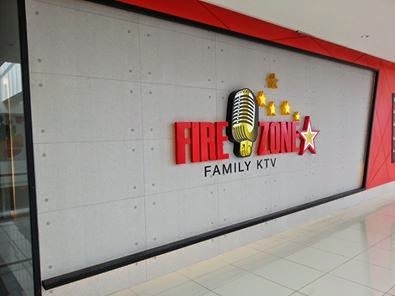 The mall’s owners ARA Asset Management Limited decided to give the once vibrant mall the much needed makeover aimed to revitalise and transformation needed to remain relevant to the community. by the way there are more activities to do for couples. 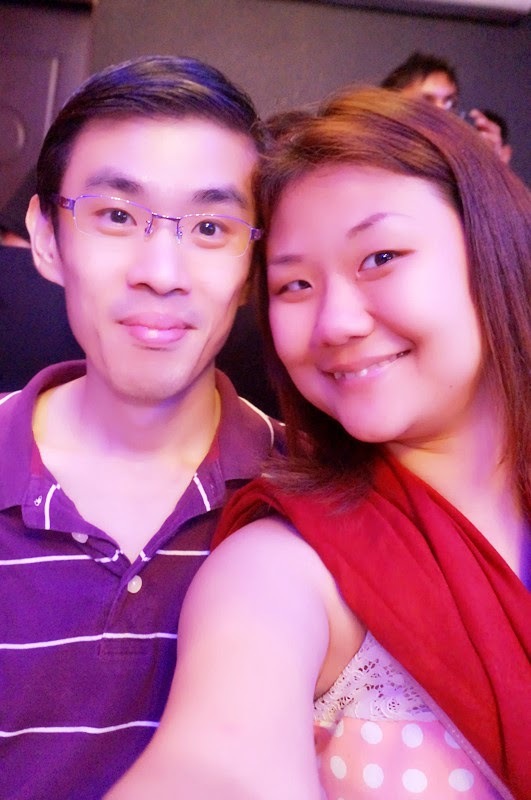 Going to KTV with your beloved one is a way of dating right. you can dedicate the song to him/her and sing from your heart. must be very touching ya! 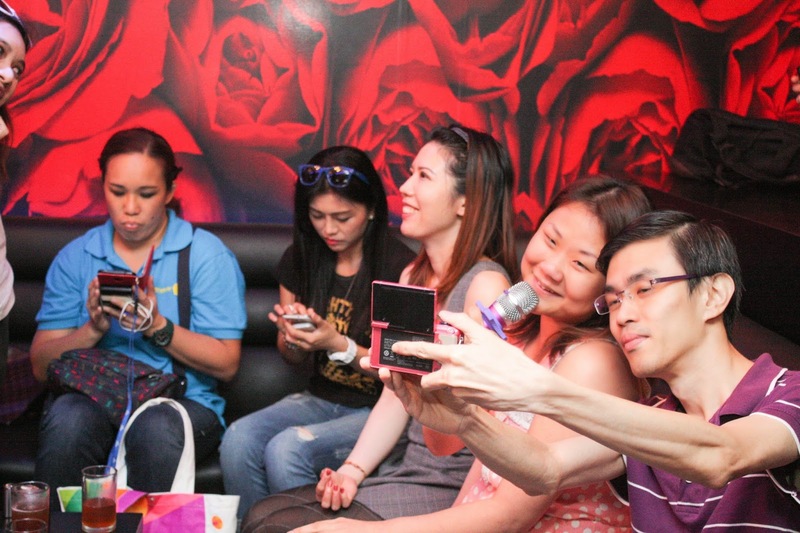 what about selfie inside ktv room! 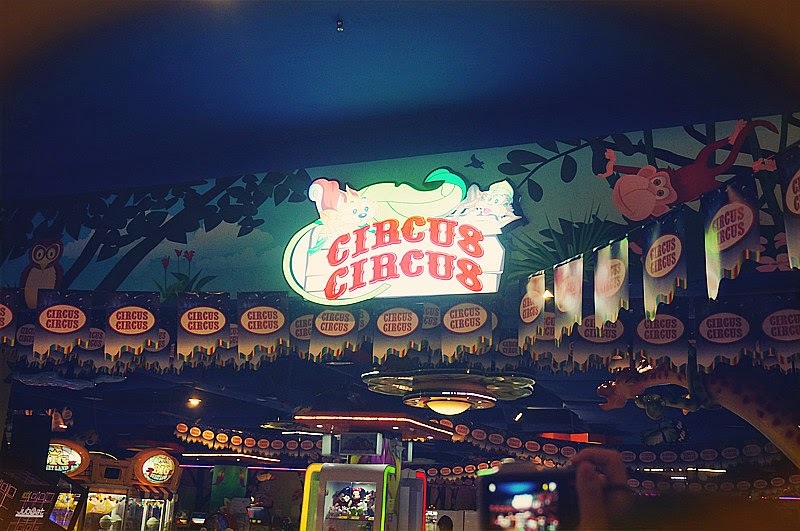 let come to Circus Circus, all kind of games can be very enjoyable! so spread the happiness by play any of your favorite games here! 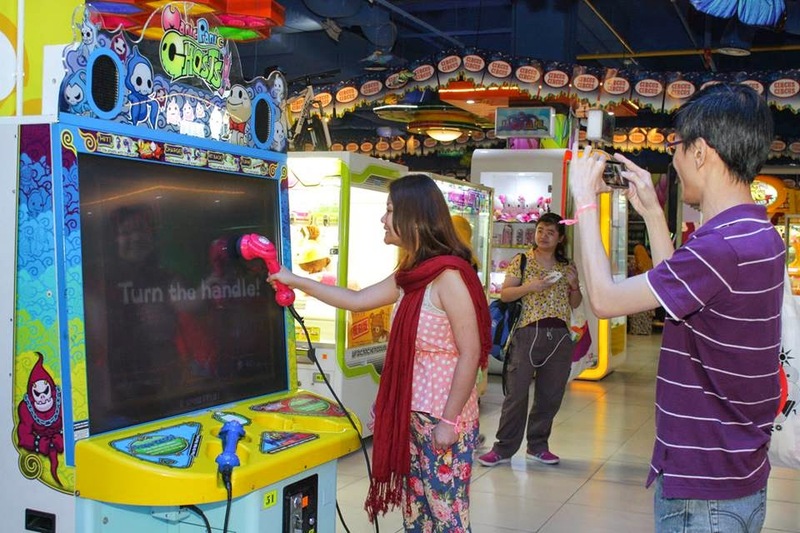 Never too Old for all this arcade game! happy face from him, so I am happy too! feeling thirsty/tired after too many energy consumed a FireZone KTV & Circus Circus? 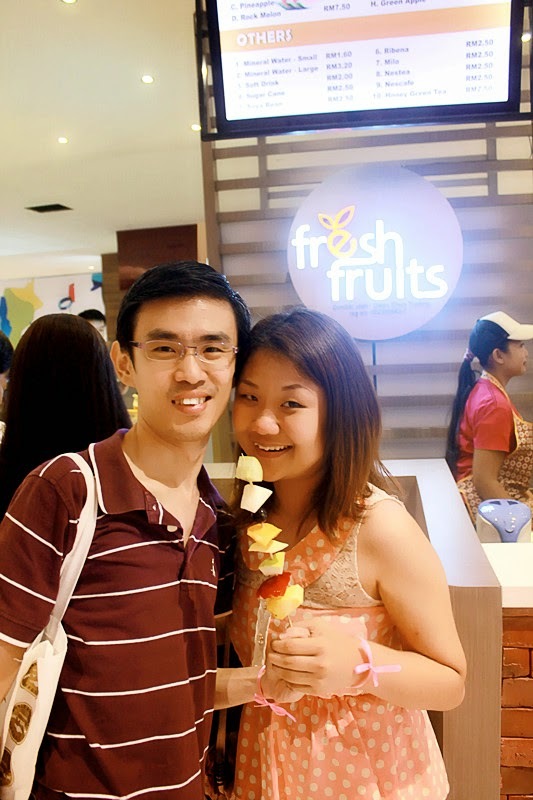 Come to fresh fruits to have some cut fruits / fruits juice here! variety of fruits you can find form my personalised skewer..
tell me what you found from the skewer? 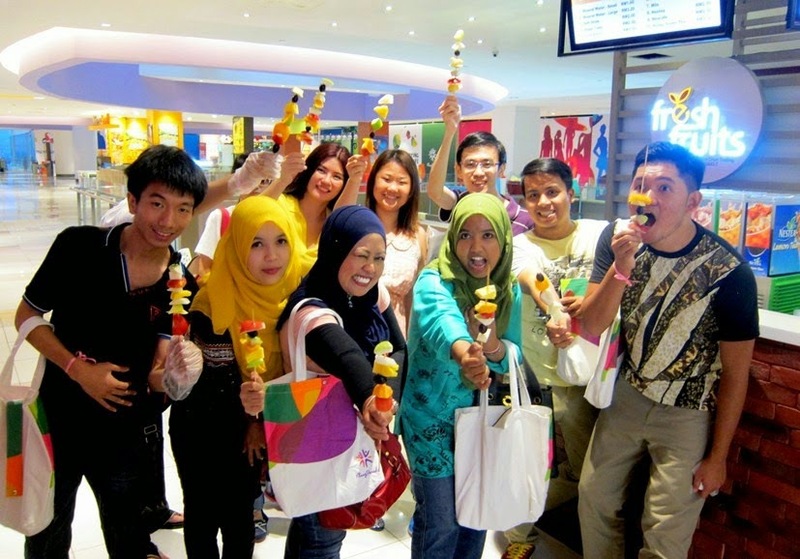 Let have a Groupfie with Bloggers & their personalised fruits Skewer! Having manicure in I.GF Nail Spa Klang Parade. how can it be consider as couple to do list right? money can't buy experience right! what about train you partner look young & energized like them? 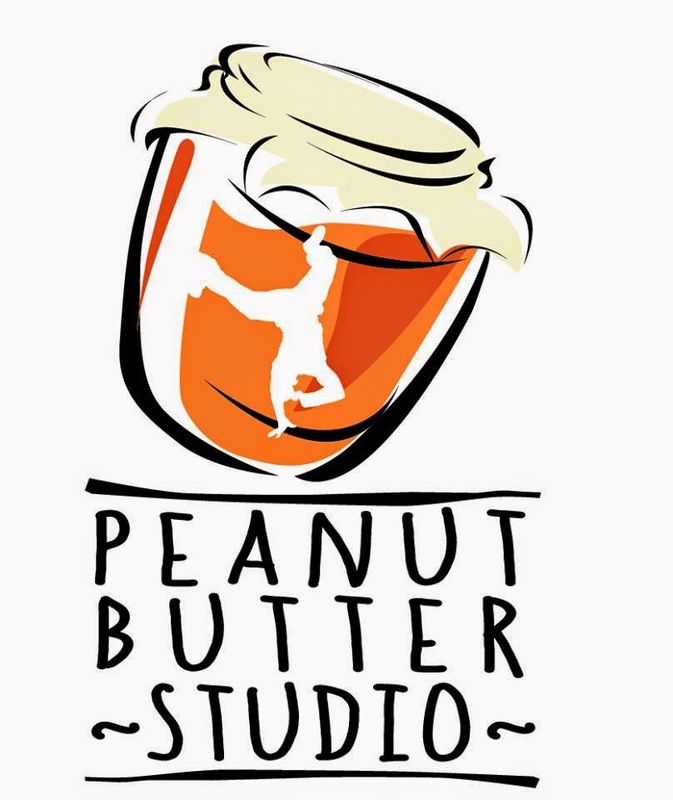 Yes, you can with Peanut Butter Studio Opening Soon on January! Post by Peanut Butter Studio. you and your partner to learn Hot & Spicy Latin Dance & HIP HOP together! 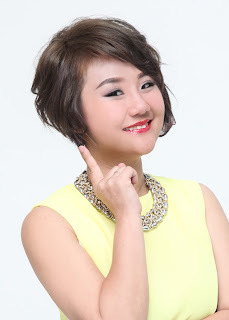 Rynn Lim (林宇中) will be performing LIVE! at Klang Parade on 28 Dec 2014! Year End Party also offers Children Dance Along session by Peanut Butter Studio with opening performance by the Rejuvenate Dance Crew!!! 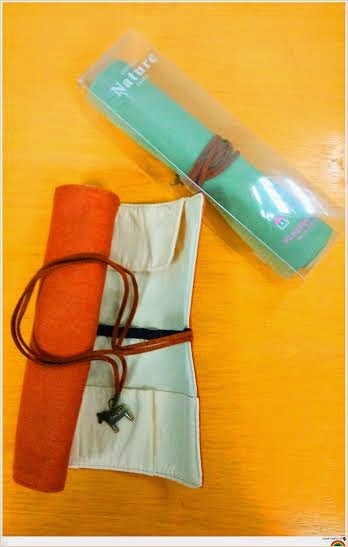 Lots of games and activities will be conducted including lucky draw prizes to be won! I am will be there too! Angels, good afternoon!Devil is back and potion you all to go shopping!This time is to share my experience with 65daigou.com.my Taobao shopping.I bought the phone from meitu2 that moment, I knew this "unpopular" mobile phone cover are not so easy to find.thanks to 65daigou.com Shopping , I found Mine. . 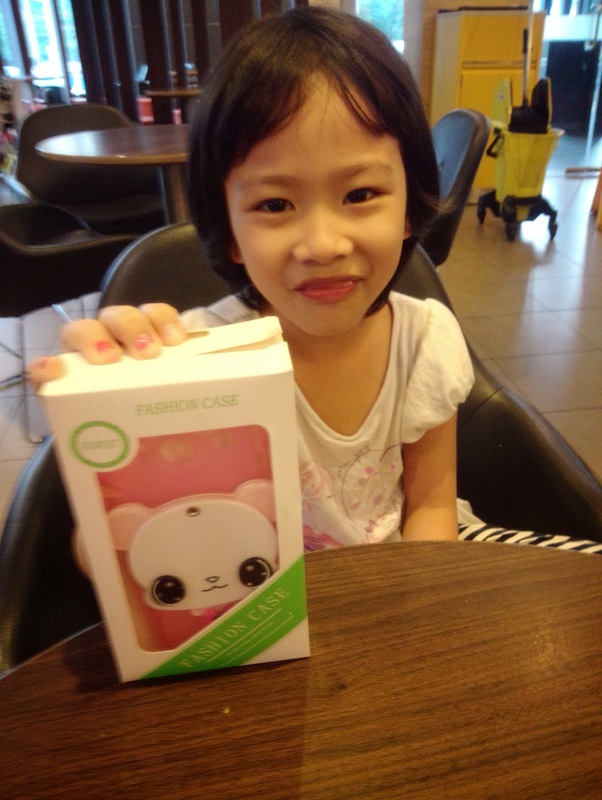 This is the devil's long-sought Meitu2 phone cover! So Cute Right? It is also a mirror! good to touch up your make up and hair Before selfie! 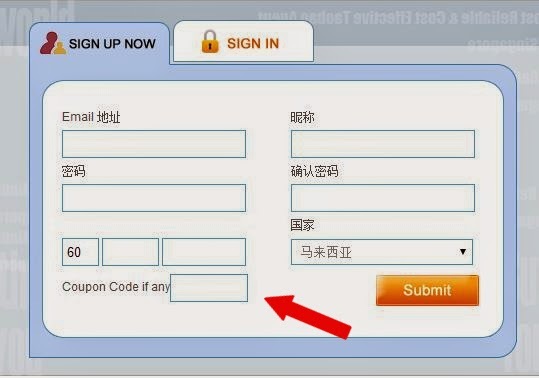 The 65Daigou checkout advantage is that you can see the exchange rate at a glance! The moment you yet to transfer the total amount, the price is always different! Go to “My Prepay” to top up (fill up transaction details after transferring to us). I use the sea shipment, going to slowly and steady. out of my expectation, the shipment reach early by 1 week, before 19/12. so only yesterday I went to pick them up! Christmas is coming soon! It’s also time to start shopping for New Year goodies! 65daigou Make Your Wish Come True now! Another Good News! 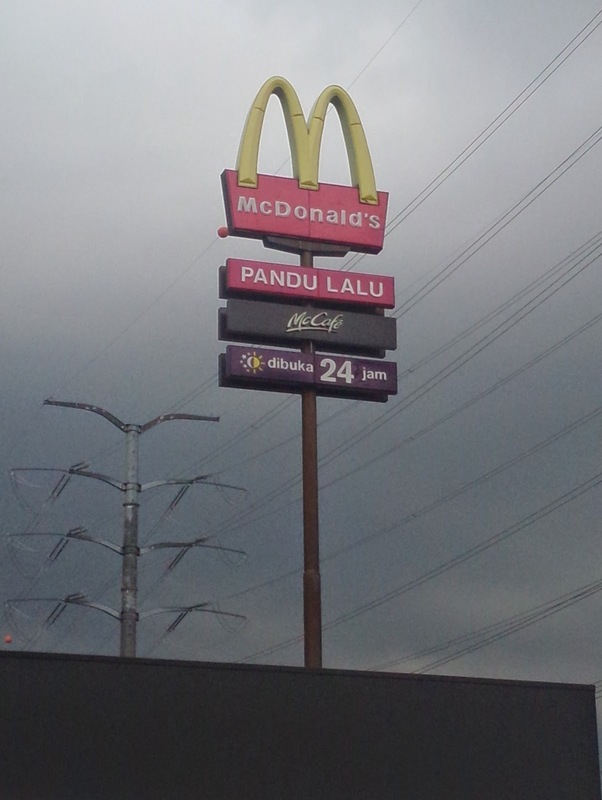 McDonald’s Drive-Thru Neighboring Self-collection has launched at selected areas include SUBANG JAYA, KOTA DAMANSARA,TAMA CONNAUGHT, EQUINE PARK and BATU CAVE. This convenient collection service is available from Monday to Friday; every area is available for pick up twice a week. 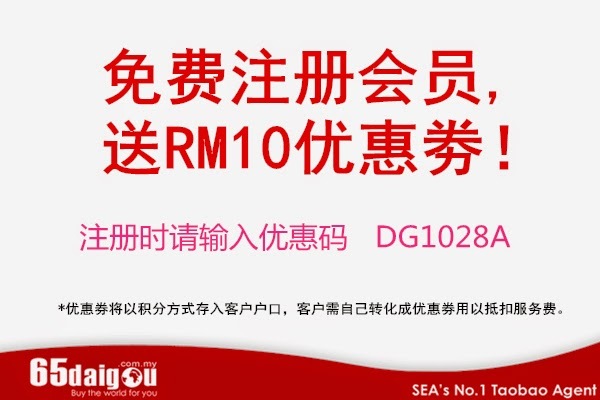 You will get RM5 shipment fee rebate and complimentary RM5 McDonald’s food voucher if you choose this self-collection service now! 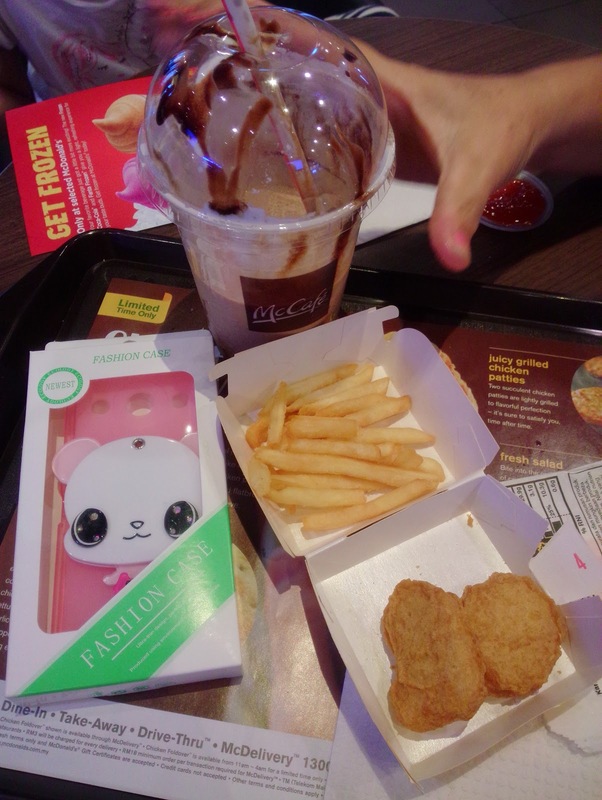 他已经准时的在 Taman Connaught Mc Donald 等着恶魔了! he is there ON TIME! Bravo ! 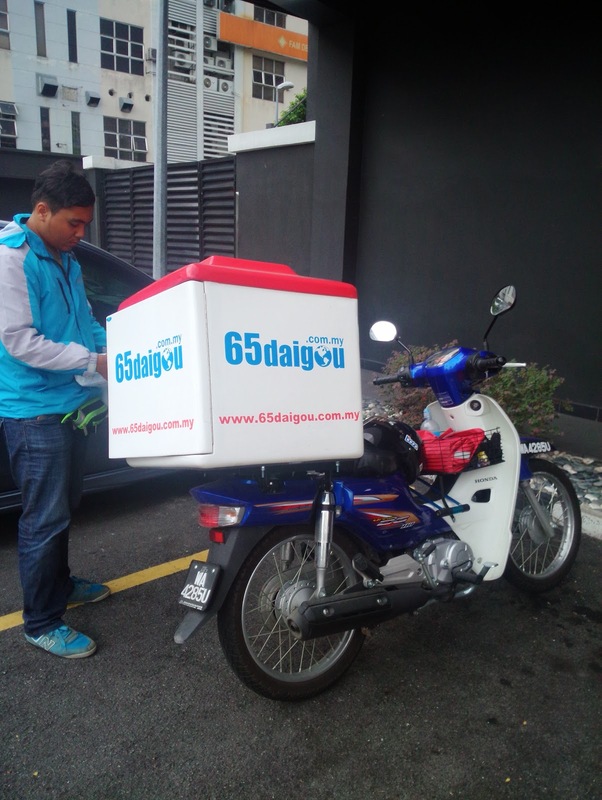 Devil checking 65daigou parcels (name, address, telephone number)! excited want to look into it on the spot! Not One, But 2 excitement at one time! Q : How much is 65daigou giving out MCD Meal Voucher ? While coffee benefits have long been documented, one Malaysian based company revolutionised the coffee beverage industry in 1998 by developing groundbreaking new technology that accents the wellness aspects of gourmet coffee with that of Ganoderma Lucidum, or more commonly known as Lingzhi. After a decade, that technology has been further refined and Gano Excel Industries has achieved yet another world first in the form of LUVOCO, a gourmet coffee brand which fuses the traditional benefits of this “king of herbs” with the modern manufacture of coffee, to please even the most discerning of coffee lovers. Packaged in the form of coffee capsules, LUVOCO is the first product of its kind to produce gourmet coffee with 100% water soluble Ganoderma extract. 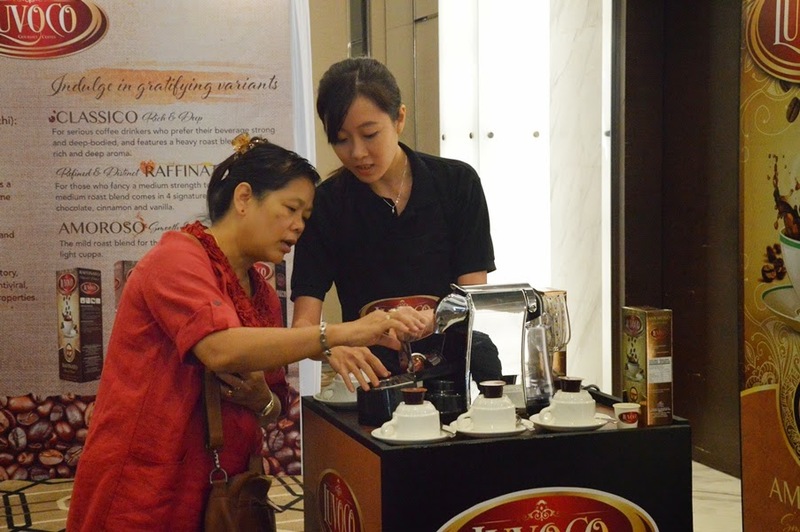 In line with achieving Gano Excel’s objective in making coffee accessible to all, LUVOCO is made available in three different variants. Firstly, Classico - Rich & Deep is crafted for the serious coffee drinkers who like their coffee strong. Next is Raffinato - Refined & Distinct, crafted for those who fancy a medium strength to their coffee and comes in four different variants - Hazelnut, Chocolate, Cinnamon and Vanilla. Lastly, Amoroso - Smooth & Gentle is a mild roast blend for those who prefer it light. LUVOCO is currently available in Lavazza cup size compatible. Gourmet coffee connoisseurs will appreciate the variety of blends available, all which do not contain the bitter aftertaste which Lingzhi is known to have. Moreover, the aroma of LUVOCO capsules lasts even up to a year and a half in storage, a stark difference from conventional coffee capsules which lose their freshness and body after a few months. This is thanks to innovative and patented sealing and capsule technology specially designed to preserve freshness much longer than typical coffee capsules. 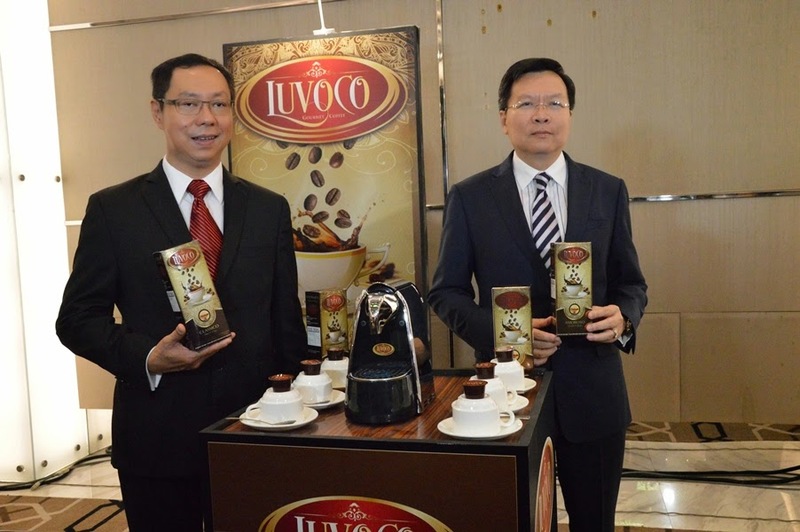 LUVOCO is the brainchild of Gano Excel Industries, which also incidentally owns the world’s largest organic Ganoderma plantation, utilising advanced patented technology which goes into the cultivation and production of Ganoderma. The organization’s Chairman, Mr. Leow Soon Seng is a world pioneer in cultivating Ganoderma Lucidum. 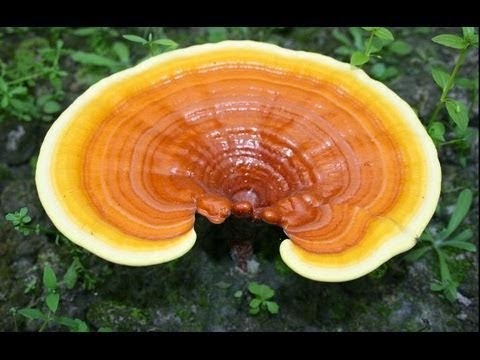 The benefits of Lingzhi or Ganoderma Lucidum have been widely revered for more than 2000 years. In East Asia, Lingzhi has been well known for its medicinal and health-and-wellbeing-enhancing properties for generations, making it one of the oldest herbs to have been used medicinally. Many diseases are caused by the imbalance of body functions due to the accumulation of toxins in the body. Ganoderma potentially helps the body to remove the built-up toxins and strengthen the body’s natural immune system. 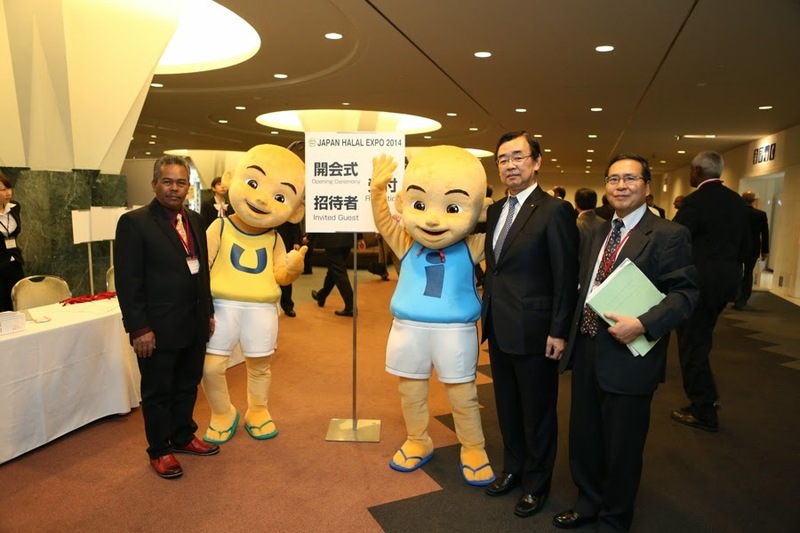 Upin & Ipin was appointed as Ambassador of "Japan Halal Expo 2014"
Animated Character Upin & Ipin from Les ' Copaque Production was appointed as Ambassador for the event "Japan Halal Expo 2014", which was first held in Japan. Before that, Japan had never held any halal food event as the Halal market in Japan is still new. 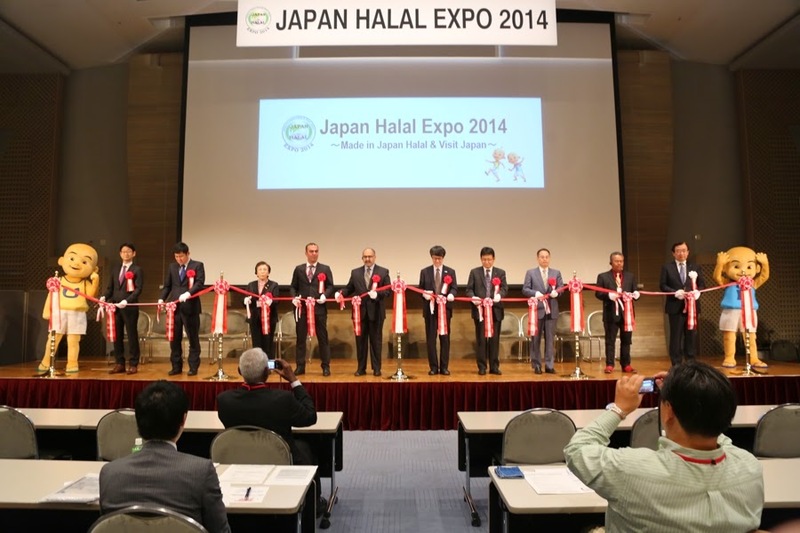 "Japan Halal Expo 2014" held at Makuhari Messe on 26 to 27 November 2014. 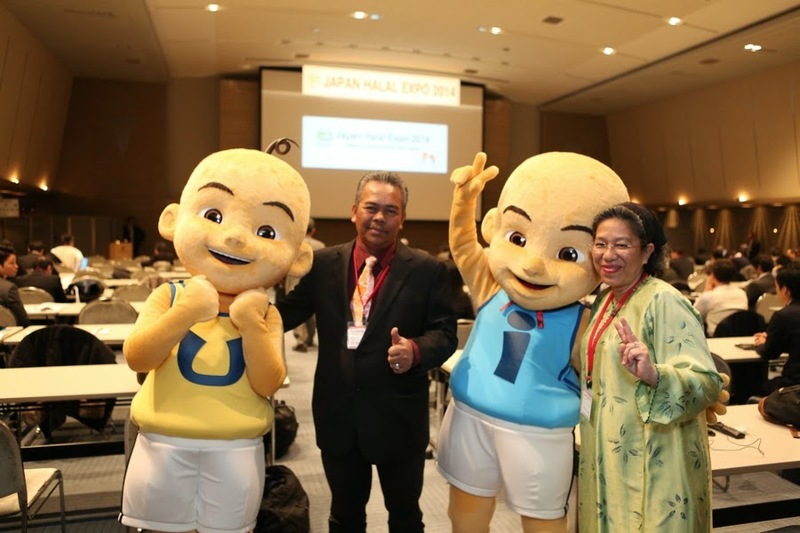 As a result of the cooperation with the organizers Halal Media Japan and Makuhari Messe, finally this event is realised and pick Upin & Ipin as icons for halal food. Upin & Ipin was chosen because the character animation is very synonymous to halal food and Islamic communities around the world. This selection also tempted from the cooperation with the Japanese company to Tsuburaya animation "Upin, Ipin and Ultraman Storm". "To enter the Japanese market is not something easy. 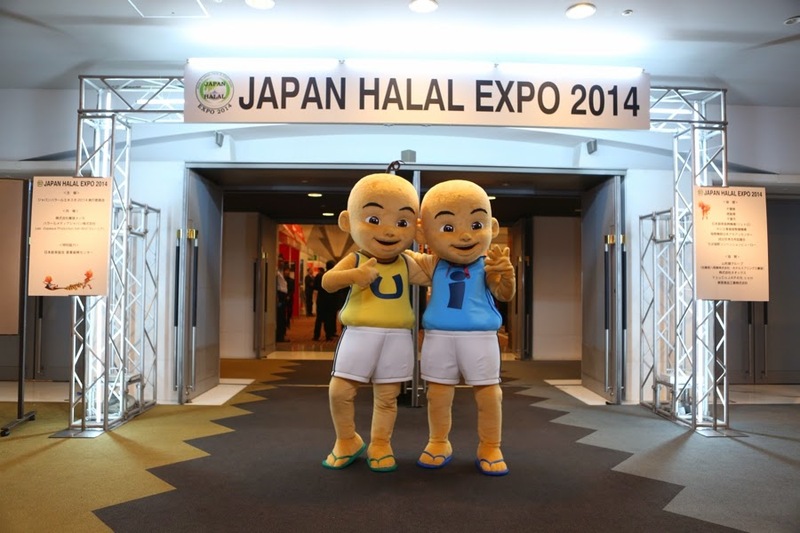 We should create new markets through halal food and restaurant Upin & Ipin in Japan. After the success of the special episode with Ultraman, we plan to conduct long-term cooperation with Tsuburaya. 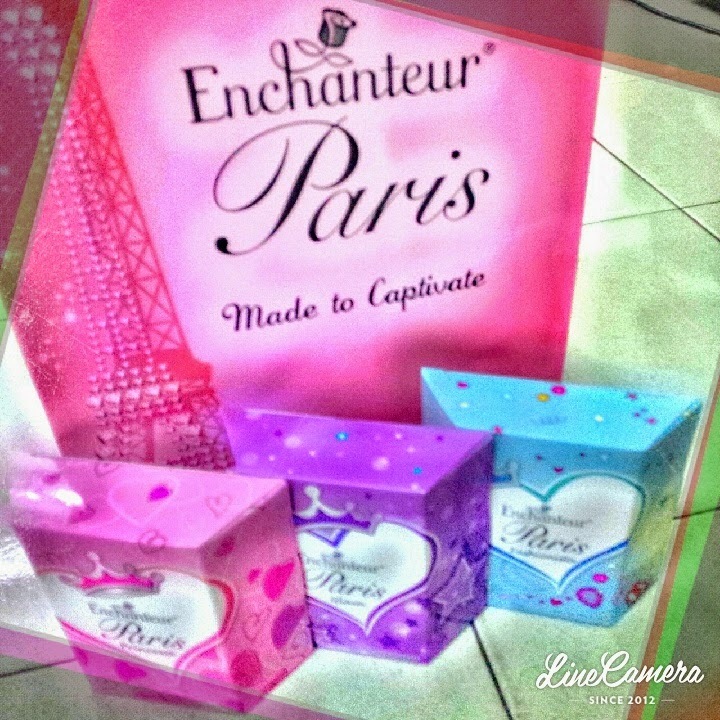 "commented Tuan Haji Burhanuddin, Managing Director of Les ' Copaque Production. 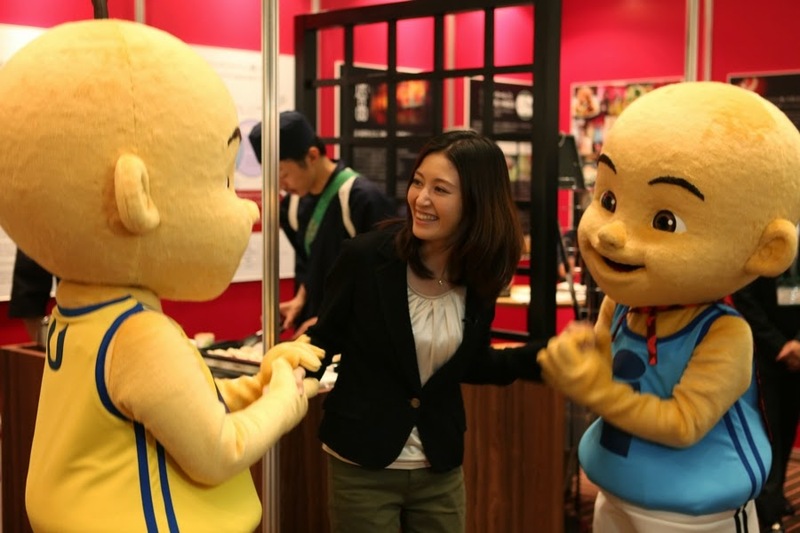 At this event, Les ' Copaque Production also opens promotional booth Upin & Ipin for restaurants recently opened in Ebisu, Tokyo. The restaurant is known as "Ippin Teppanyaki" which serves halal food Japan and Malaysia. In Japan, "Ipin" means something very nice. Hence the name "Ippin" used to customize with Japanese society. After "Japan Halal Expo 2014", Les ' Copaque Production is poised to expand its business in Japan from various aspects.